Shangrila Hospice is proud to be the first hospice in the United States who has partnered with Personalized Memorial Art and Ray Simon help honor our fallen heroes by providing customized memorial prints free of charge to families. Read, watch and listen to the words of families of hospice patients, frontline hospice workers, and volunteers. These real-life accounts provide insight on the hospice concept of care. In medieval times, "hospitality" shelters provided rest for sick or weary travelers. Today, hospice meets the physical, social, emotional and spiritual needs of terminally-ill clients and their families. Many families thought getting started would be the hardest part. But we made it easier by guiding them through three easy steps. And we’ll do the same for yours. There are many questions commonly asked by prospective hospice clients and their families. We’ve compiled those questions and provided you with the answers in this thorough section. 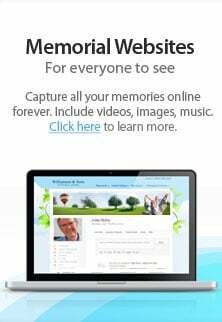 We offer our families many innovative ways to record the lives of their loved ones, including personal Life Story web pages, tribute videos and the Tribute Book. Our country has always paid tribute to our fallen heroes in monuments throughout our great land. We believe each individual sacrifice should be recognized. We consider it a privilege to present a personalized tribute to the families of those heroes who have made the ultimate sacrifice in the line of duty.